Seminal works from one of the medium's most revered masters, Jean "Moebius" Giraud. During the 1970s, Jean Giraud, known under the cartoonist name "Gir," decided to create for himself another artistic personality. Having up until then only illustrated a classic western story ("Blueberry"), he decided to use a new pen name, Moebius, to explore different styles and forms of comic book art as influenced by American underground art and the counter-culture wave. In the process, he revolutionized modern French graphic novels. 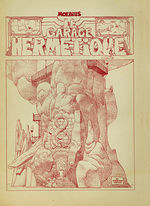 Co-founder of "Métal Hurlant" magazine and of the publishing house Les Humanoïdes Associés, Moebius reinvented the aesthetics of science fiction comics. 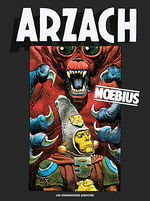 With stories such as "Arzach," or "The Airtight Garage," among many others, Moebius’s work has and continues to have a worldwide impact on pop culture.